This entry was posted on February 16, 2017 by nigel borrington. 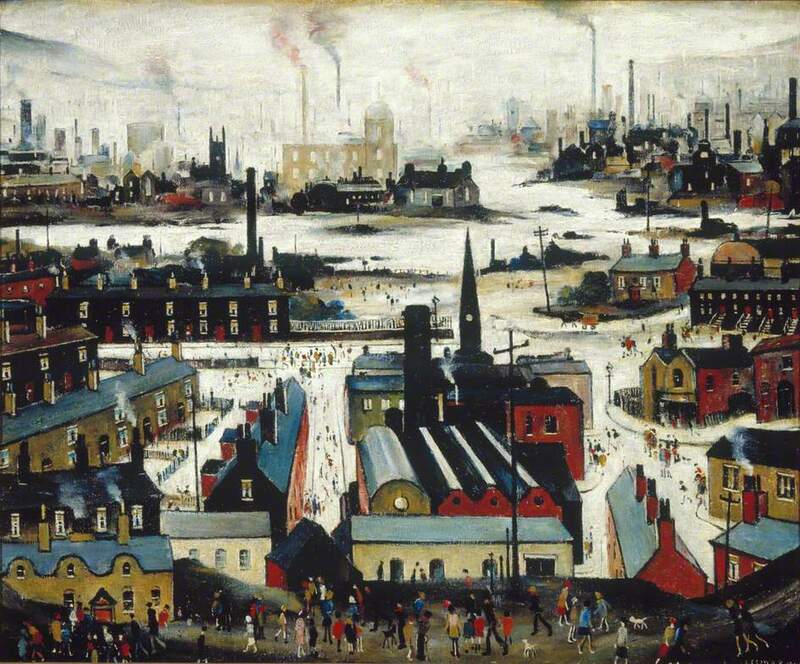 It was filed under Cityscape, Comment, LS Lowry, manchester, Nigel Borrington and was tagged with art, Art History, Artist, City scape, industrial city, LS Lowry, manchester, Nigel Borrington, paintings, UK. Just around the corner Nigel. It’s been a while. Maybe I should go visit. Hi Nigel. It was with great pleasure that I read your blog post on Lowry. I visit Manchester fairly often but always staying in Hale Barns, just around the corner from your neck of the woods in Altrincham. I have grown to love the area. I’ve not yet been to the art museum, just not sure how to get there by public transport (have taken the tram from Altrincham a few times). I’ve been fascinated for a long time by Lowry’s work and his match-stick figures. I really get his approach. Reminds me of the work of the Donegal Naïve Painters, also associated with an Englishman, Derek Hill (http://glebegallery.ie/derek-hill/). Thanks again for a very interesting blog post. Now I’m motivated to visit the art museum on my next visit to Manchester.